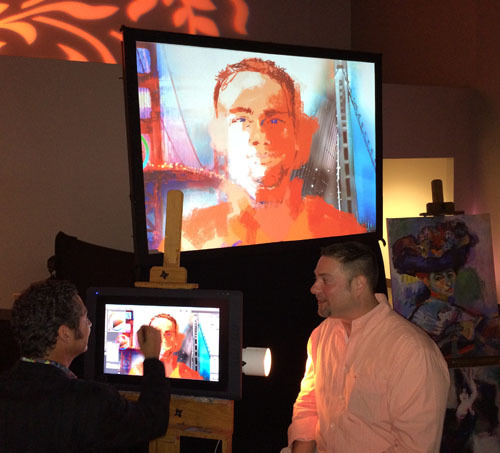 Video showing live digital painting in the Cirque du Soleil TOTEM Tapis Rouge VIP tent and at other events. 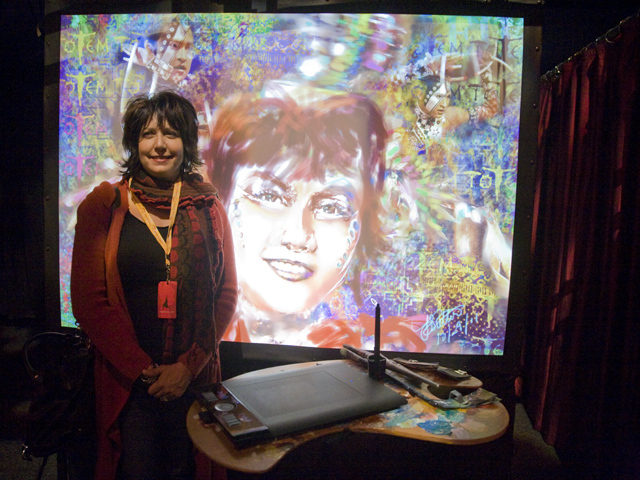 These four photos (above) show my live digital painting performance in the Tapis Rouge VIP tent at the Cirque du Soleil Totem show, San Francisco, 2011. 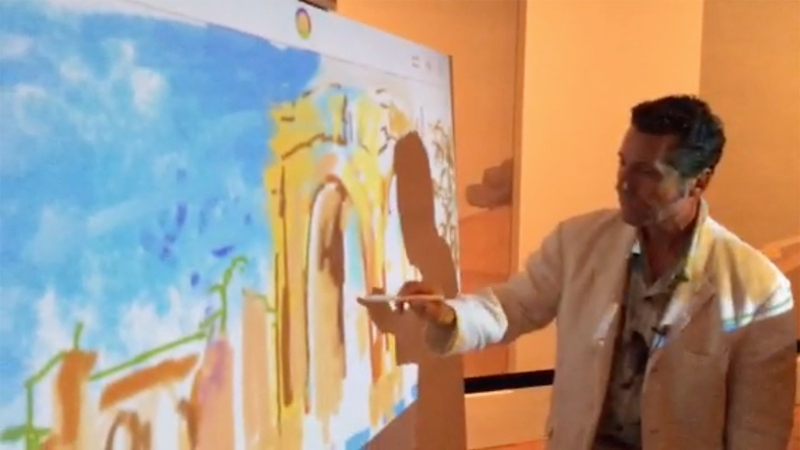 Though I usually work with an iPad Pro, in previous performances I have used the Touchjet POND to create a Virtual Mural at the de Young Museum and the Oculus Rift for Virtual Reality 3D Painting in Las Vegas. Let me know if you have specific tools that need to be used and I can accommodate that. Monument Valley to Silicon Valley, the world’s first 40′ wide virtual Touchjet POND mural painted live in the de Young Museum in 2.5 hours! 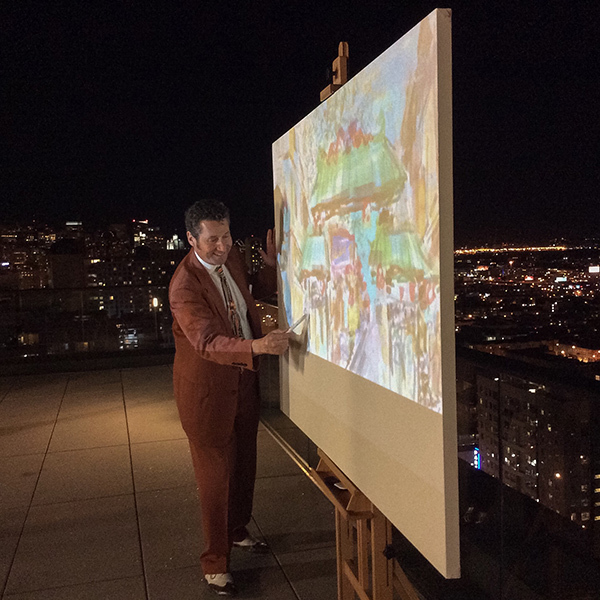 Live event Touchjet painting (creating “Dragon’s Gate”) at ChinaSF event on the NEMA 24th floor patio overlooking the San Francisco skyline. 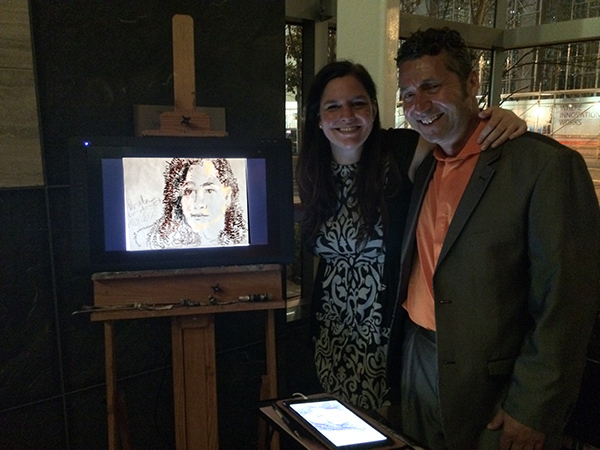 ~ Catherine Woo, Director of Sales & Marketing Operations, Touchjet Inc.
Thumbs up for the completed portrait! 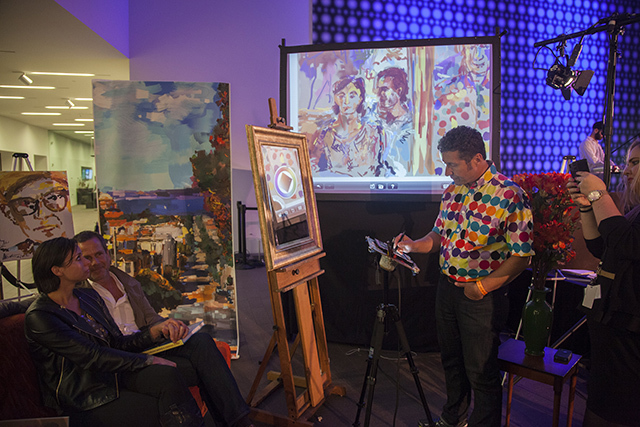 Live Event Painting of Lisa and Frank being created by Live Event Artist Jeremy Sutton using an iPad in the de Young Museum, San Francisco, at the opening of the “David Hockney: Bigger Exhibition”. 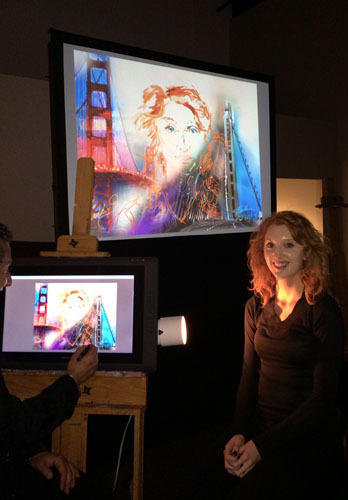 Portrait of Sarah being created live during an iPad painting performance in the de Young Museum, San Francisco, at the opening of the “David Hockney: Bigger Exhibition”. 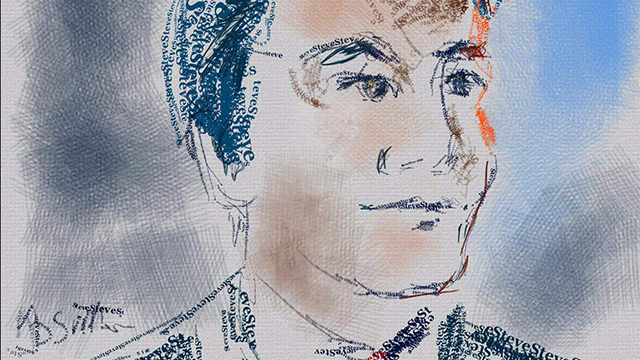 This portrait of Jeff was created at an Oracle client appreciation event during Oracle World 2013 in the City View at METREON, San Francisco (event organized by Paula LeDuc Fine Catering). Lyana sitting for her portrait at an event organized by the Monaco Government Tourist Office. 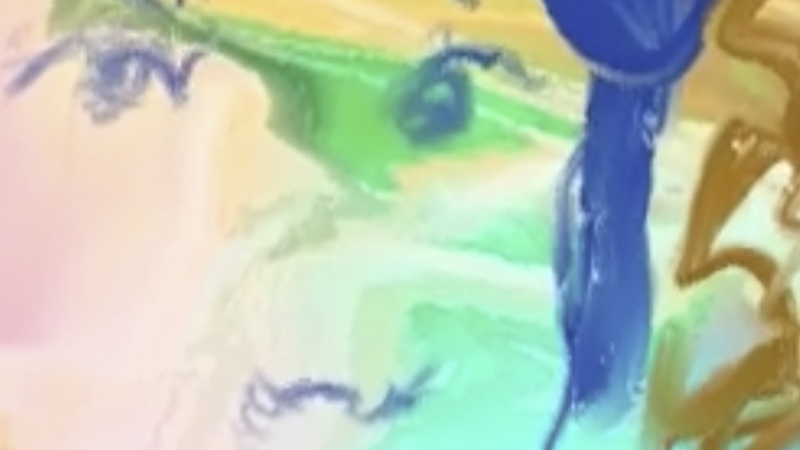 Notice that her name is in the structure of the brush strokes used to portray her. 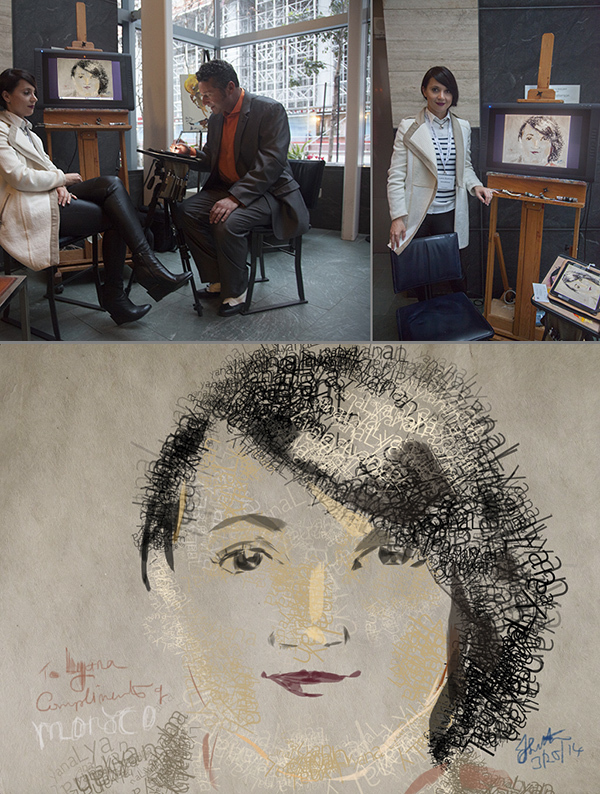 The next two portraits (below) were created at the same event. 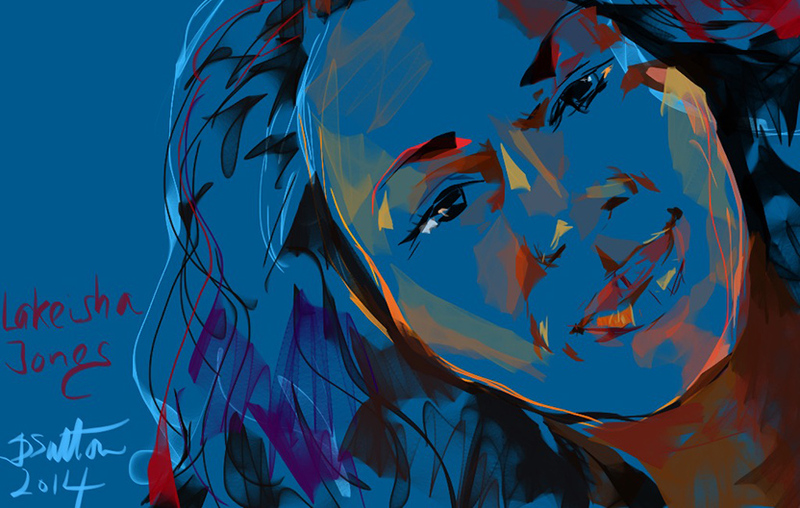 All portrait subjects received both a JPEG image of their portrait plus a video replay of the painting process of their portraits so they could watch it unfold brush stroke by brush stroke! 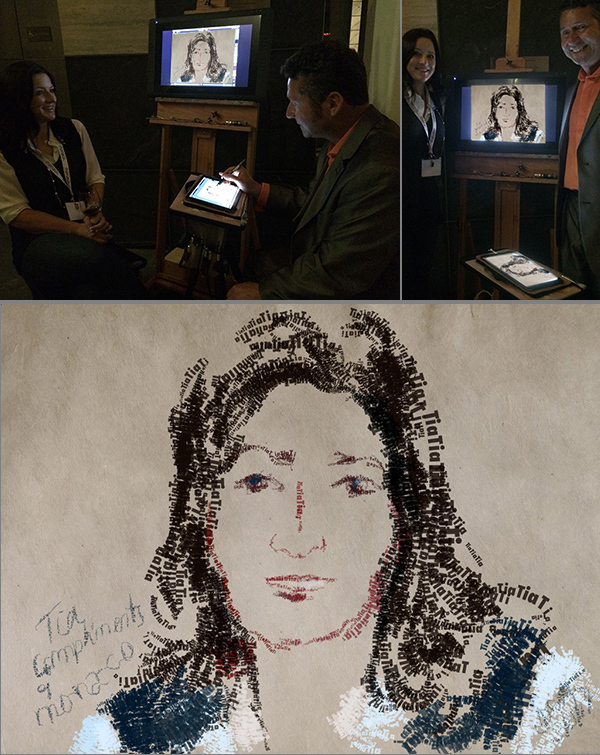 Portrait of Ebru created on the eFunds booth at the Bank Administration Institute’s (BAI) Retail Delivery Conference in New Orleans, Louisiana, 2000. 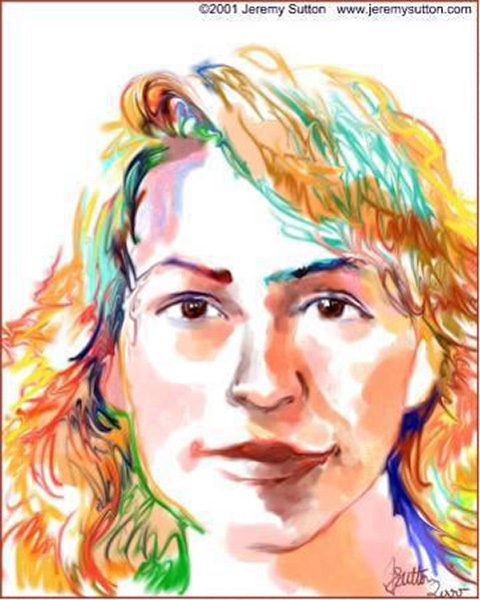 Click here to see a video of the portrait being made. 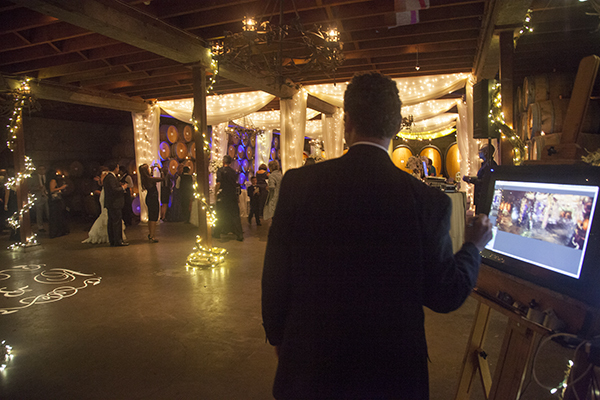 This portrait shows an example of a custom background created for an Urban Daddy event sponsored by Herradura Tequila and held in the Terra Lounge, San Francisco. 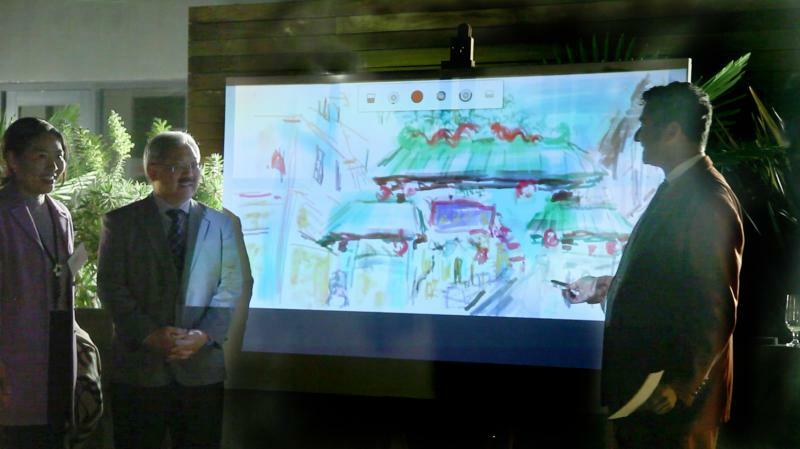 Video of the Urban Daddy event, showing my use of “air painting” technology. 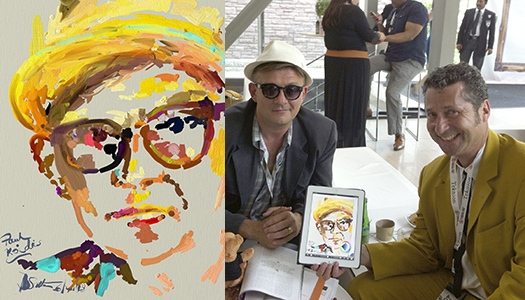 iPad Sketch Portrait of Paul (above), created at Moses Znaimer’s ideacity 2013 Conference, Toronto, Canada. 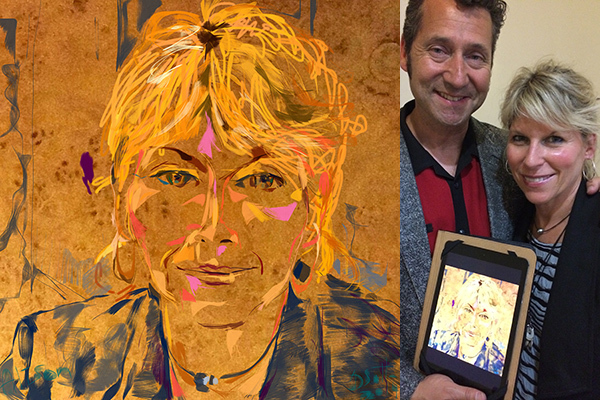 iPad Sketch Portraits of Alison (above) and Lawrence (below), painted at the FOTOfusion 2014 conference in West Palm Beach, Florida. "Thank you so much for my portrait, that was certainly the highlight of my evening!" "Thank you for the painting. I took it home to my wife. She thought it was terrific. 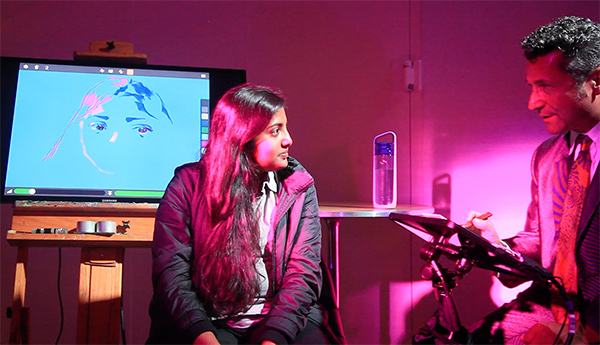 I’m impressed with both the computer painting technology and your talent and enthusiasm." 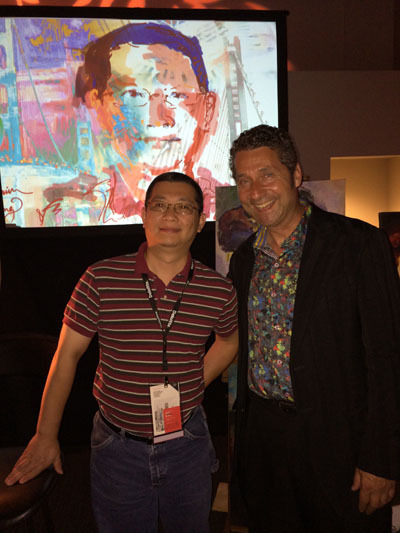 Portrait of Shumin at the Oracle World 2013 event. Portrait of Maddy at Oracle World 2013 event. 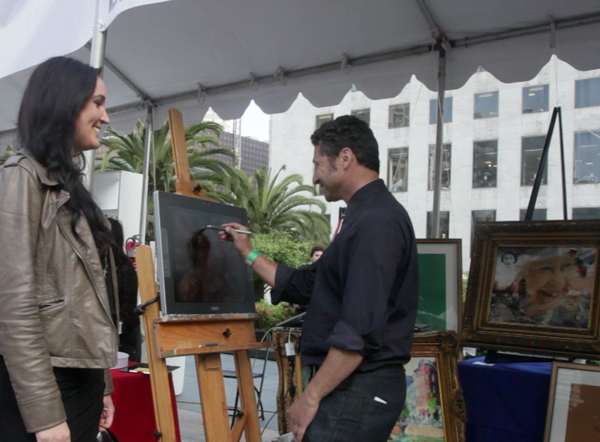 Vanessa being painted at the BritWeek Festival, Union Square, San Francisco. Vanessa Knight is the talented musician, singer and songwriter who was the headliner at the Festival. 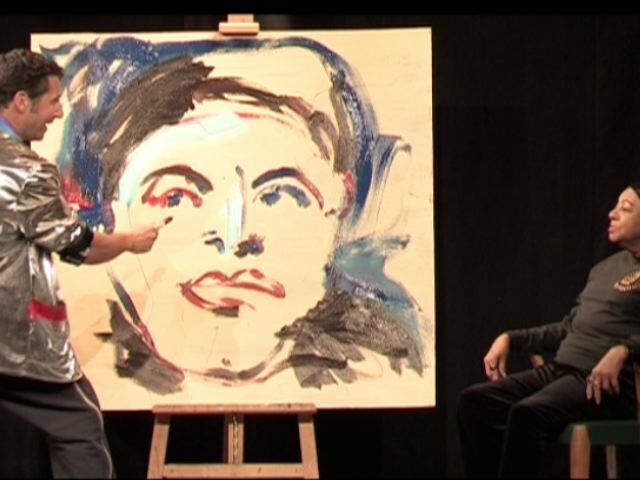 This video shows a three minute live painting performance using house paint on hardboard. The subject of the portrait is swing dance teacher and performer Dawn Hampton. It was created live in a cabaret at the Herrang Dance Camp, Sweden. The music is Opus No. 1, performed by Glen Gray and the Casa Loma Orchestra. 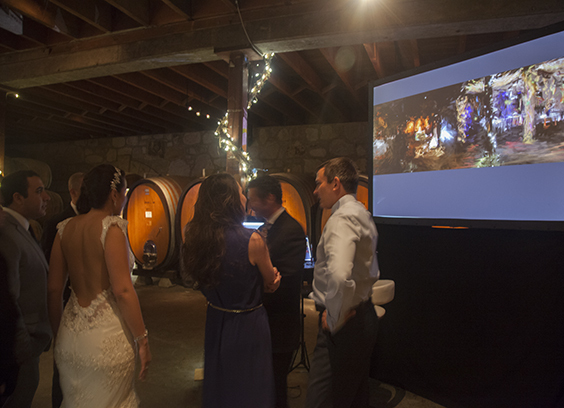 The video conveys the dynamism, enthusiasm and energy I bring to my performances. 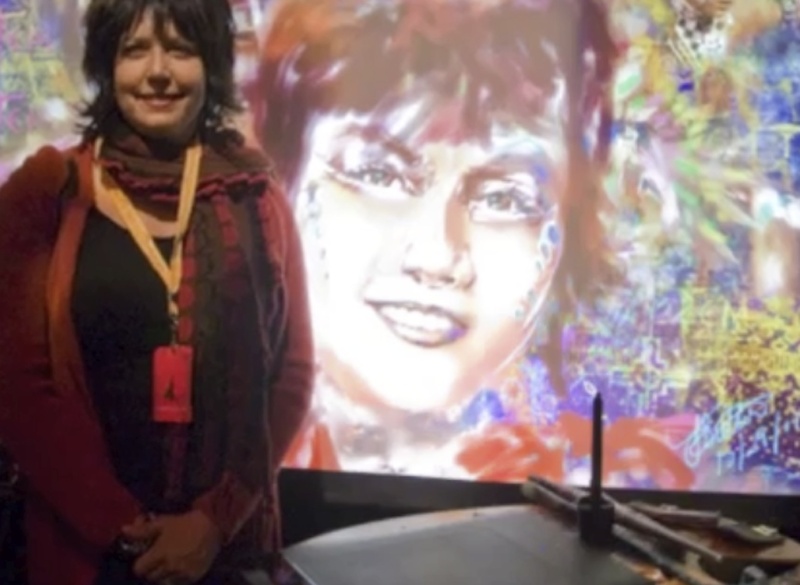 Live painting performance at Google headquarters, Mountain View, California. 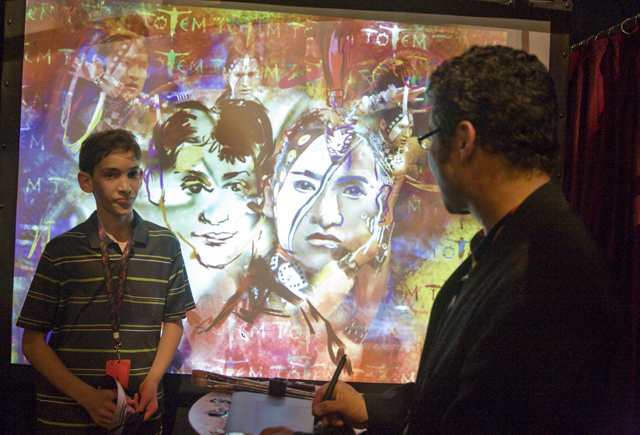 Painting on a digital graffiti wall at the LOAD Exhibition, Royal Albert Hall, London, UK, 2009. Virgin Atlantic Airlines CEO and Founder, Sir Richard Branson, massages my portrait subject while I performed at the Virgin Atlantic Tenth Anniversary Party in London, UK, 1994. 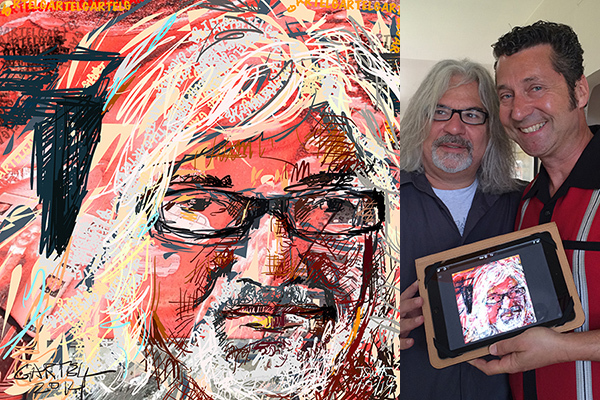 A few months earlier I had painted a live digital portrait of Branson on the Virgin Atlantic San Francisco Inaugural Flight. Richard Saul Wurman sits for his live digital portrait at the 1995 TED Conference, which he co-founded, in Monterey, California. Performing at the Apple Theater, Macworld, San Francisco, 1996. 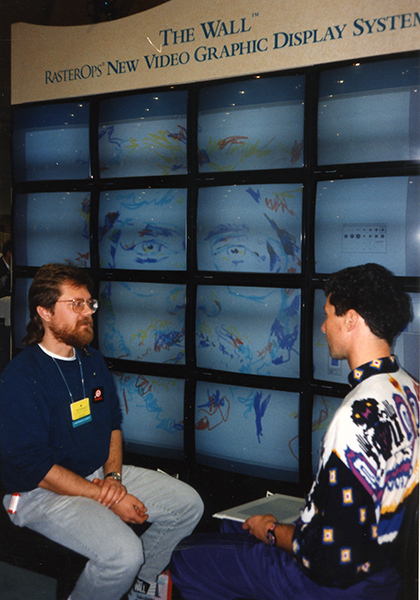 Completed portrait at the Total Systems Services booth in Las Vegas, Nevada, 1998. Adobe Systems co-founder John Warnock and I holding the digital portrait I created of him from life, at the Tech Museum of Innovation, San Jose, California, 1996. I am a London-born artist, now based in San Francisco. 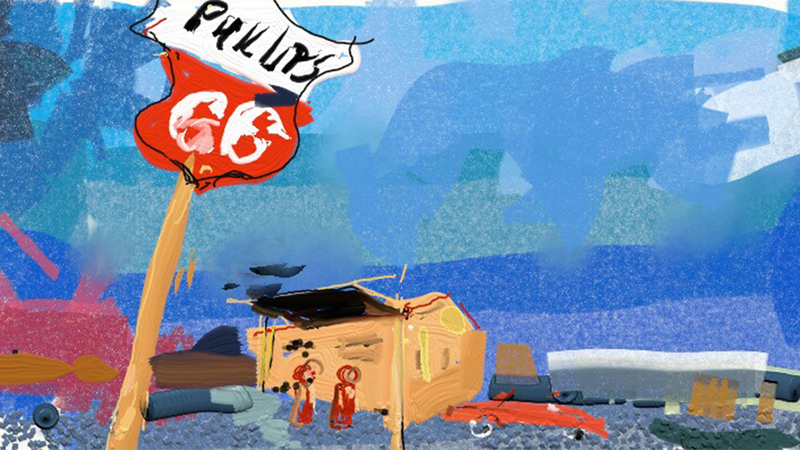 I’ve been drawing for over four decades and painting with digital media for twenty five years. I have an MA (Oxon) degree in Physics from Oxford University where I also studied life drawing, print-making and sculpture at the Ruskin School of Drawing and Fine Art, continuing my art studies at the Vrije Academie in the Hague, the Netherlands. I’m the author of six books on digital painting and have performed live digital painting for many hundreds of clients over the last two decades, including Apple, Google, Oracle, IBM, Microsoft, United Nations, CISCO, Cirque du Soleil, Smithsonian Museum, Sony, Virgin Atlantic Airlines, Corel, Creative Artists Agency, DreamWorks, IDG, the de Young and Legion of Honor Museums (San Francisco), The Tech Museum of Innovation (San Jose), Bill Graham Presents, Warner Bros., Wacom, Lucas Films, Xerox, Jack Morton Worldwide and TED Conferences. I created live digital paintings for the Cirque du Soleil TOTEM show in San Francisco; at the opening of the David Hockney: A Bigger Exhibition at the de Young Museum, San Francisco; in the Nuit Blanche Festival, Toronto; at the largest custom car show in the world, SEMA 2014, Las Vegas; and was the featured iPad artist performing live at the Smithsonian American Art Museum’s America Now! Innovation in Art 2015 event in Washington DC.